What does Up to mean? 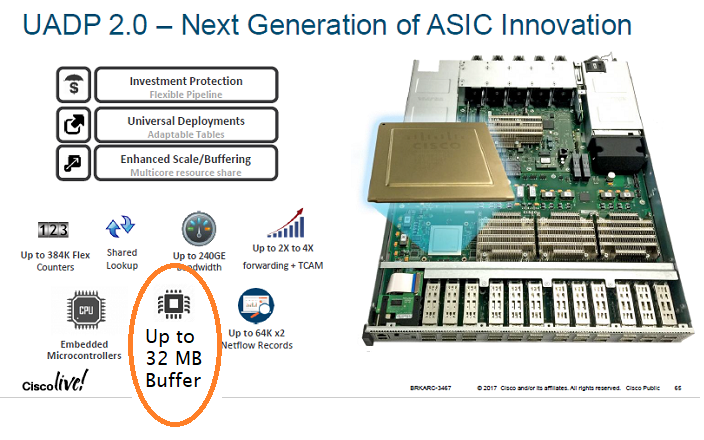 Does it mean 8 MB per core and up to four cores per switch SKU? Slide is from a BRKARC-3467 talk in June 2017.